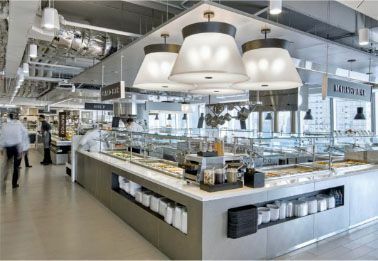 As one of the most respected names in major commercial kitchen development, Baring Industries is a valued partner to contractors across the country, known for its stellar delivery of project management, engineering, equipment and installation services. 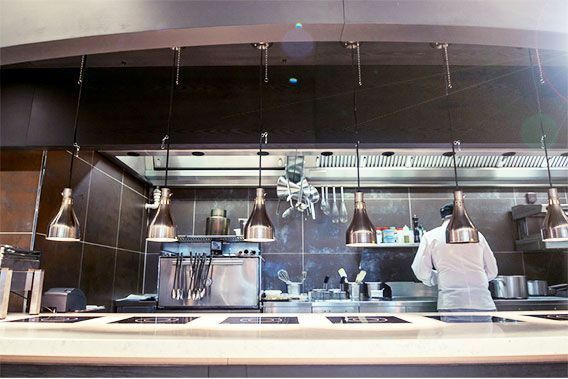 With decades of experience and vast knowledge base, Baring Foodservice Equipment Co. supplies smaller kitchens with commercial equipment perfect for the job. Baring Industries has been delivering the highest quality construction services in commercial kitchen development since 1961. Baring’s dedicated personnel are known for their top-level expertise, attention to detail, and can-do attitude for surmounting any challenge. They provide their clients full satisfaction with the on-time delivery of expert project management, engineering, equipment, installation, and after-sale services, all at the most competitive prices. Our new 5,000 sq. ft. showroom is now open to the public in Fort Myers, Florida. Signup to receive product updates and special showroom offers, plus receive 10% off your first in-store purchase! Could not confirm your subscription as the email id you provided belongs to a registered user. WELCOME TO BARING FOODSERVICE EQUIPMENT CO.
Baring Foodservice Equipment Co. is dedicated to supplying small to medium-size kitchens with the highest quality commercial foodservice equipment at competitive prices. The division applies processes and expertise developed from executing large institutional projects to provide a high-level professional service not normally seen in the smaller project market. 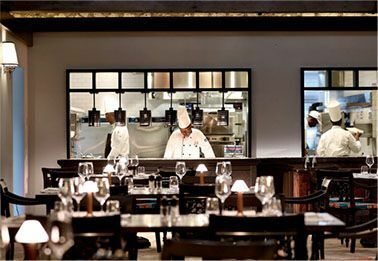 No matter what your foodservice equipment needs, we can develop cost-effective financing solutions that keep your kitchen running. Upon assignment, Baring approaches every project in two distinct phases: “Coordination,” followed by “Installation,” with both receiving the utmost attention to detail. The coordination of our project management, engineering, and purchasing teams in examining each project ensures that every detail is covered. 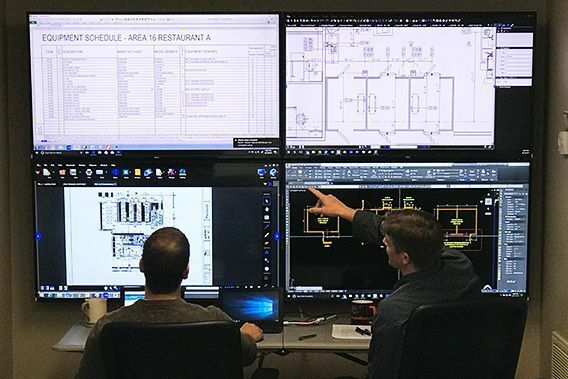 Continued attention to detail, along with extensive experience and expertise, helps turn the coordinated project planning into a seamless installation. At Baring Industries, we take great pride in a job well done. Browse our past projects and let our work speak for itself. Branch of the famed Italian market and restaurant located in central Manhattan. An award-winning fine dining restaurant in Jamaica's famous Half Moon Resort. The amenities floor of L'Oréal USA's new corporate HQ in Hudson Yards, Manhattan. Baring Industries is the best foodservice contractor I have ever worked with. They perform from of contract to project close out. Their staff of project managers is unsurpassed in the construction industry and I have found their pricing to be the most competitive in the industry. If I were looking for a foodservice contractor, Baring would be at the top of my list. 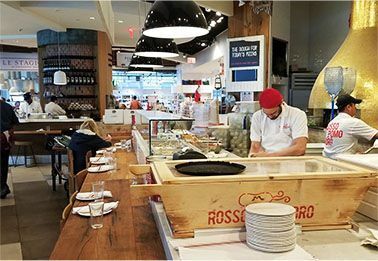 Ricca Newmark Design is called upon weekly to recommend quality foodservice equipment contractors who have depth in excellent project managers, enjoy a breadth of experience, and can reach beyond regional borders. Unfortunately, the list is growing smaller; however, Baring Industries remains number one. When awarded one of our projects, we know that we can count on the team at Baring to become our Partner in exceeding our client’s expectations by bringing our designs to life in an efficient, cost-effective, and professional manner. Baring is simply the best there is. 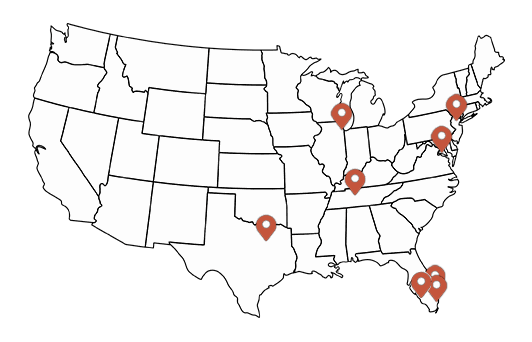 The Baring team consistently operates and executes as a model for the foodservice industry. They develop and empower their team members to be resourceful, trustworthy, and accountable – all vital characteristics of a successful partner to our business. We highly value our longstanding relationship with the Baring leadership and project management teams, who not only understand but demonstrate a command of our collective (manufacturer and dealer) value proposition to the industry. I’m always impressed with the service orientation and attention to detail I find when I interact with Baring Industries Overall and Michael Friend’s team in particular. They listen carefully to the client needs, and they understand the total scope of the project. Baring responded to questions almost immediately and addressed outstanding issues very effectively. Michael and his team are very easy to work with and appreciate their customers. Baring Industries made my role as a consultant a lot easier. It has been my pleasure to work with Baring Industries since 1994. They are engineers who happen to build kitchens. There is no designer, however good, that would not profit from Baring’s intense review, and their examination on the details of any design. Baring ultimately takes responsibility for the execution of my vision and succeeds in turning the sometimes difficult, sometimes maddening, sometimes crazy work we do into functioning, complete and well-finished workspaces, every time. Baring Industries is a true leader within the foodservice industry. The hands-on proactive approach coupled with industry educated and dedicated project management teams provides a level of service that is unmatched. Combine this with their passion for success, honesty and integrity and you’ll see why Baring is a preferred choice for foodservice establishments across the globe.